The Governor of Imo State, Rochas Okorocha has raised alarm about a fake committee collecting revenue from people. Okorocha alerts public on fake committees on revenue collection Gov. 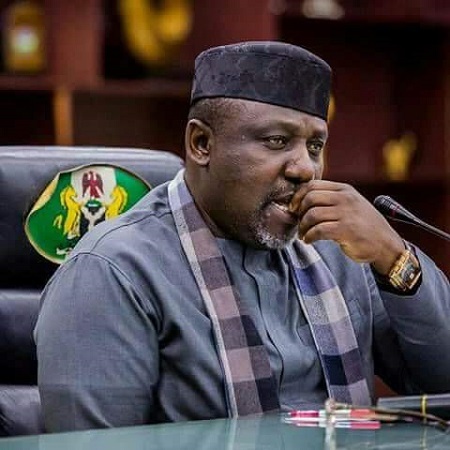 Rochas Okorocha of Imo state has alerted people of the state not to engage in any dealings with two committees said to be going round the state to recover government properties and collect revenue. Okorocha in a statement issued to News Agency of Nigeria (NAN) on Monday and signed by his Chief Press Secretary, Mr Sam Onwuemeodo, said the two committees were fake. He said one of the fake committees, tagged committee on recovery of government properties, was responsible for the illegal removal of streetlights in Owerri. He said that security agencies have been alerted to track them down for prosecution and urged the people to volunteer useful information to facilitate the arrest of members of the illegal committees. “I want to use this opportunity to inform Imo people that the two groups operating as committee on recovery of government properties and task-force on IGR are fake. “These groups are responsible for the removal of streetlights in the city and other public properties and the security agencies have mounted manhunt on them. He further stated that the groups have unleashed serious hardship on the people of the state, adding that government has directed security agencies to apprehend the culprits.